A student from the School of Art Institute in Chicago, Erin Einbender, decided to combine her love of dogs with a way to help dogs get adopted. 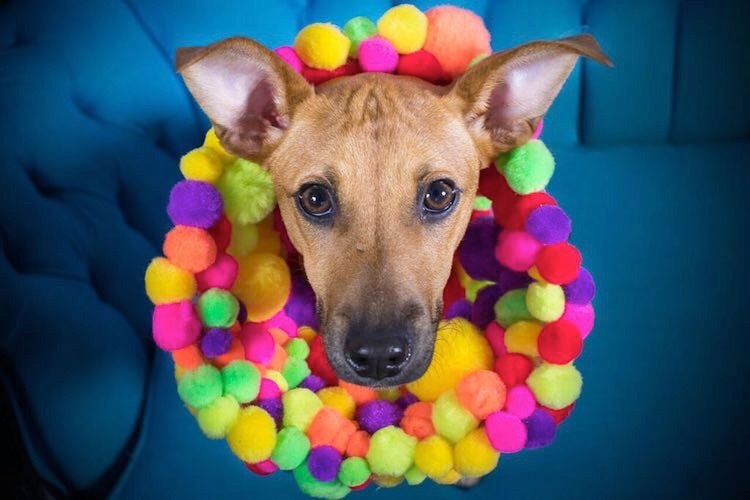 As part of her final photography project, she spent $200 at the craft store on colored feathers, rhinestones and glitter to the normally blah “Cones of Shame” dogs wear following surgeries. 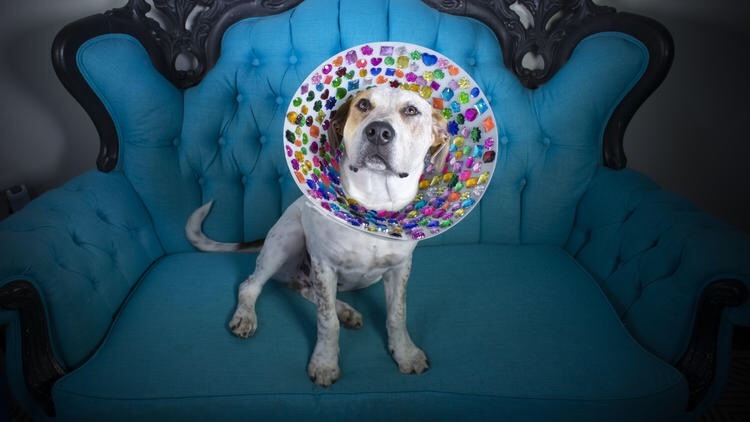 She wanted to shed light on the importance of spaying and neutering pets while removing the negative images of wearing the protective device used to keep dogs from ripping out their stitches. Erin thought the high fashion head gear would help the dogs get adopted and it worked! Who could resist a pooch that looked like this? 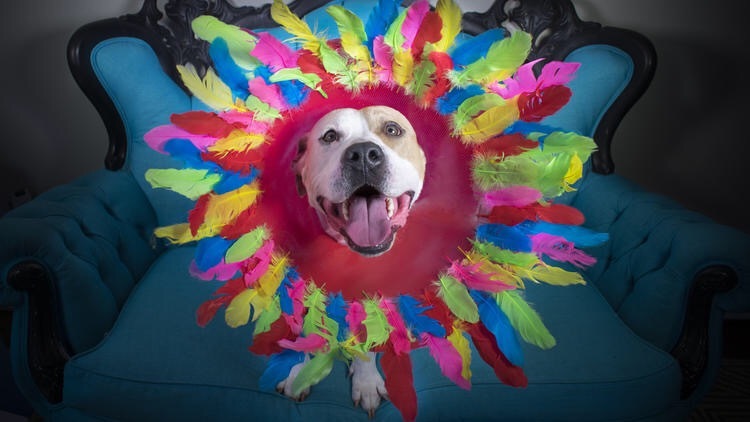 All the dogs she photographed at the One Tail at a Time shelter, have been adopted. Her work will be on display at an art exhibit this month and all sales of her photographs will be donated to the shelter.